The national reputation of the University of Alabama's Million Dollar Band was established under the 34-year tenure of director Colonel Carleton K. Butler. The native Ohioan came to Alabama in the 1930s after earning degrees at Youngstown State and Kent State. Initially he served as the director of the Ramsay High School Band in Birmingham as well as serving in the same capacity at Tuscaloosa High School. When the Million Dollar Band's director Captain H.H. Turner stepped down in 1935, Butler assumed the duties. As the Alabama football team enjoyed spectacular success on the gridiron in the 1930s and 40s, the Million Dollar Band also gained a reputation for its elaborate but technically superb halftime shows. 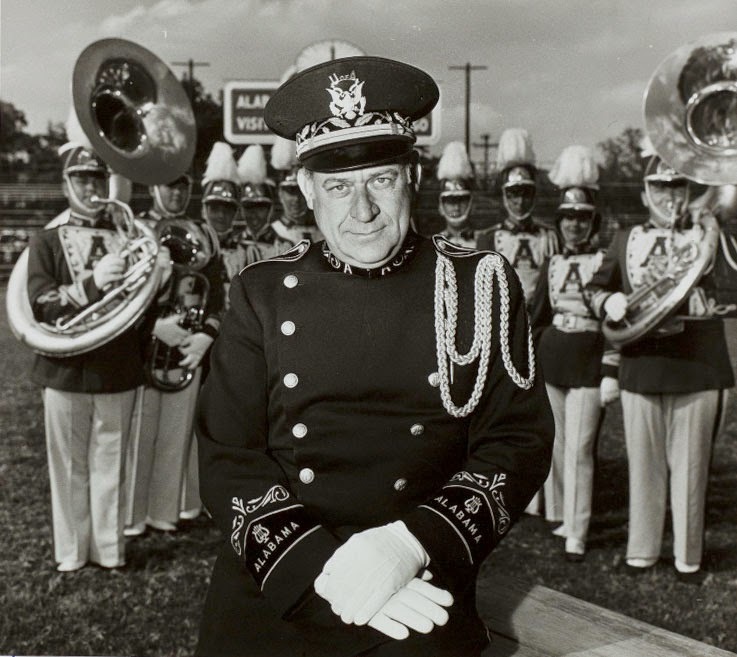 Under his direction, the band played at 14 bowl games, three Alabama governor's inaugurations and performed at the inauguration of President Harry S Truman in 1948. Butler received the honorary title of "Colonel" from the University of Alabama Campus ROTC in 1938 and was later named an honorary colonel on the staff of Gov. John Patterson. Outside of what he accomplished, as shown in memorabilia at the Bear Bryant Museum, no lasting tribute has ever been made for him, anywhere on the U of A campus. There was, at some point, many years ago, a portrait of him hanging in the Student Union Building, that was eventually removed. This great man, who in just a few years, raised the stature of the U of A band from the quality of a high school band, to that of both a musical and marching quality, high enough to compete with any college band in the nation. Before all of us who were fortunate enough to be under his direction are gone, I hope that some appropriate commendation is made for him, for most all students, and visitors, to be able to realize what this man's driving and ceaseless effort, contributed to the University of Alabama. I teach at UA and Colonel Butler was long gone by the time O got here, but the more I read and hear about him, the more I believe his legacy needs to be remembered by UA far more than it is. People today do not realize that the MDB was considered in the same class as the Michigan and Ohio State Bands...in the mid1950s the Corolla said they had been rated by Colliers as the second best band in the country. A statue in or near the stadium, or near the music building and practice field, should be considered.